Two Pinkfresh Layouts & a Card! Hi everyone! 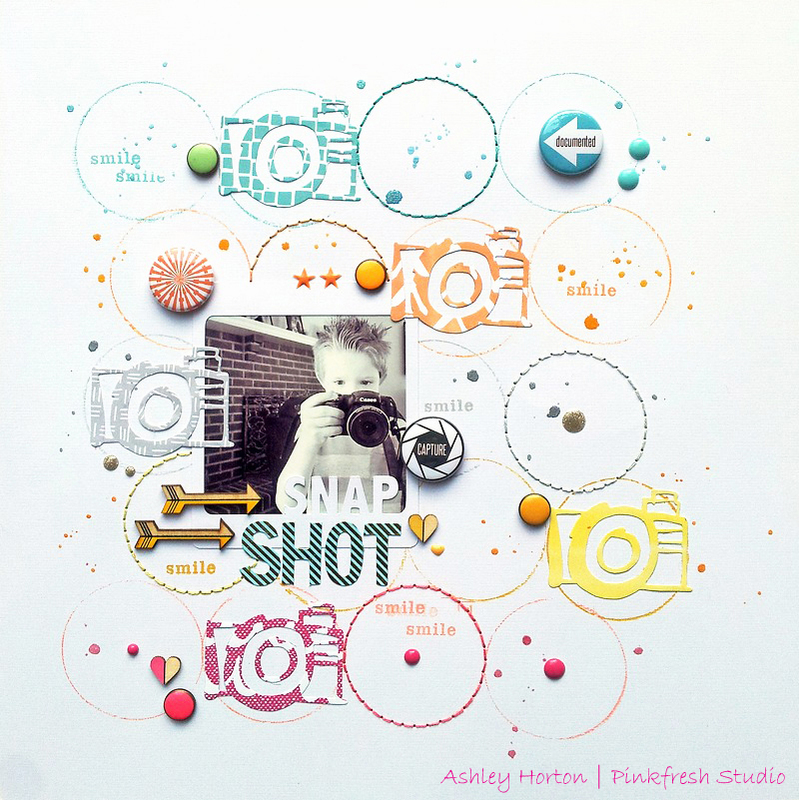 It's Ashley Horton and I am here today to share my first Pinkfresh creations with you! I had so much fun deciding on the perfect Pinkfresh embellishments for my projects today! Let's take a look at what I created. The Color on Color look is really popular right now and I wanted to do my own spin on the trend. 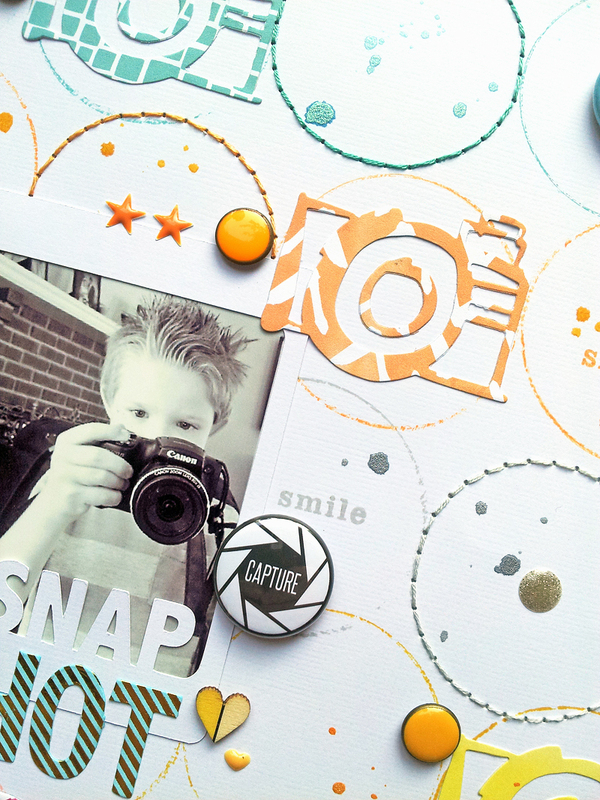 I used a bottle cap, to stamp circles on my White background paper. After the circles were stamped, I chose a spray mist that coordinated with each of the ink colors and lightly sprinkled the mist. Then I stitched a circle in each row, with a matching color embroidery floss. After the stitching was done, I started to embellish each row of circles with Pinkfresh products that went with that color. 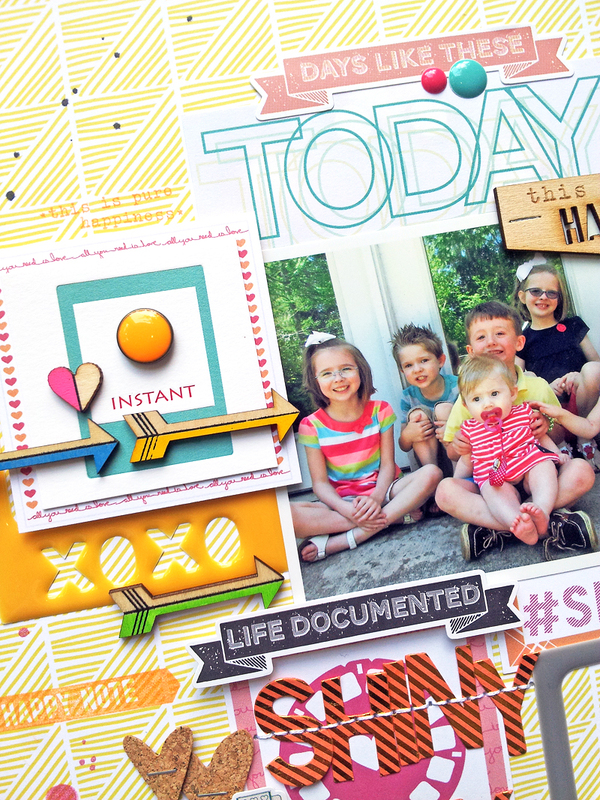 The Insta Frames are great for adding fun layering to your layouts. 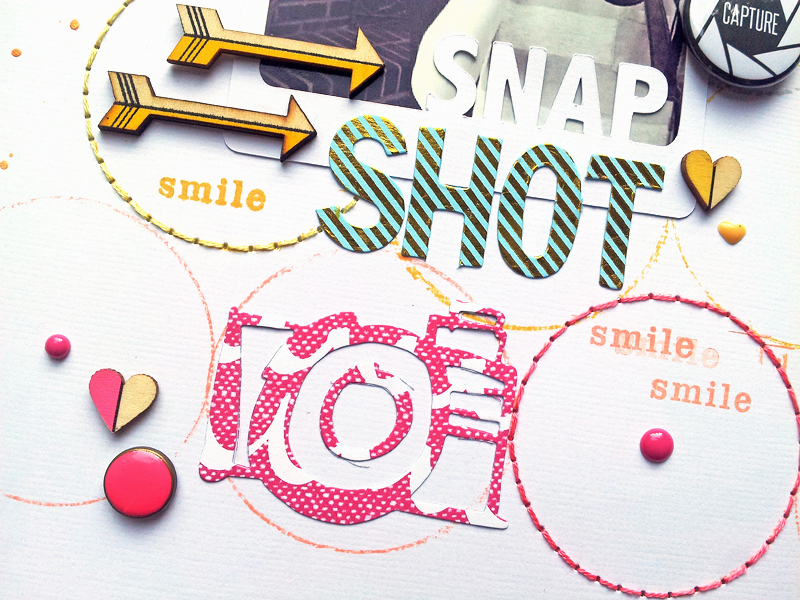 I used two of the frames on this layout...not for photos, but for layering embellishments. I started my layout design, by putting together the layered frame on the top left. I used one of the Fresh Press cards over the Yellow Insta Frame and then added some of the Color block Wood Veneers and a Drop Sticker (LOVE these!!). 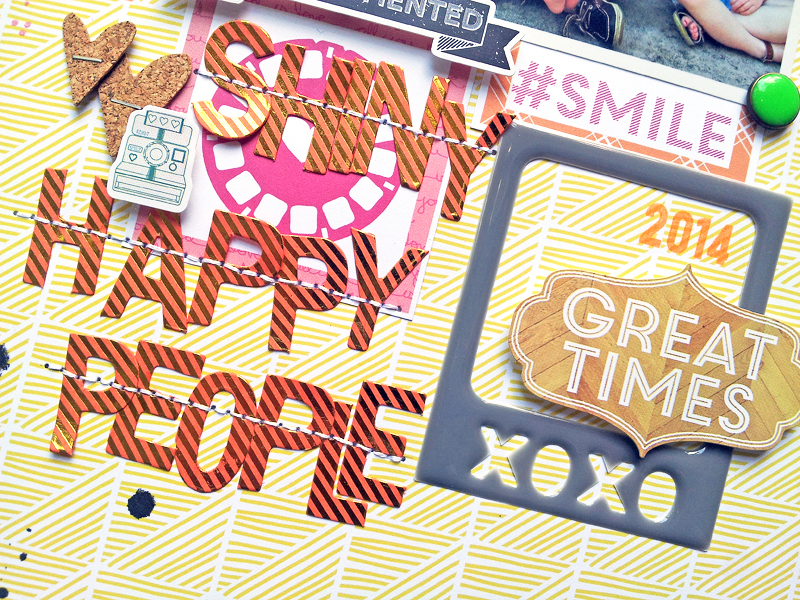 And the Foil Alphas are perfect for adding fun titles to your layouts. I used the Coral & Gold alphas to create a long title and then stitched through the letters with White embroidery floss. 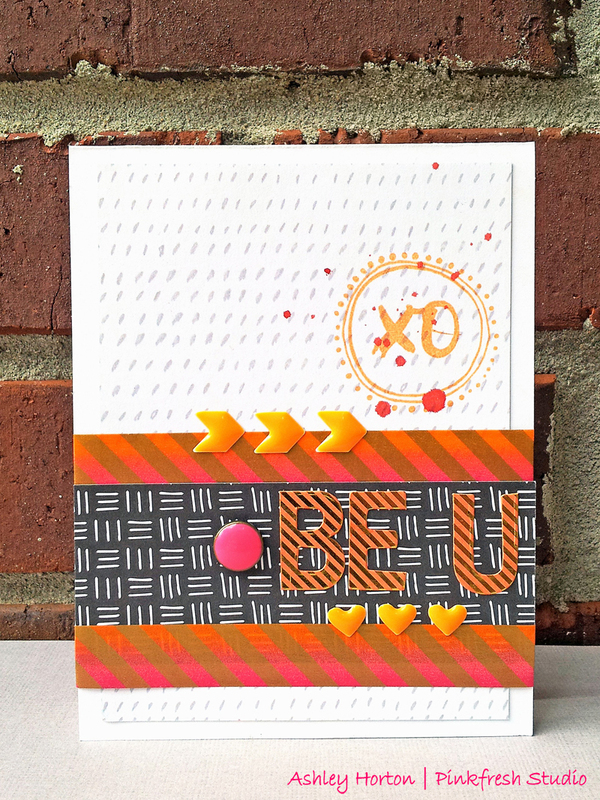 I created my card, using a basic Black & White color scheme, so I could use a mix of the Orange and Pink Pinkfresh products. The Ombre Orange and Pink Washi Tape worked perfectly with the Pink Drop sticker, Coral & Gold Foil Alpahs and the Way to Home Neon Enamels. Thanks for stopping in today and I hope you found some fresh inspiration for your next project!